Ahhh, the Work at Home Mother. 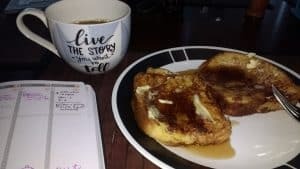 People are eager to tell you that being a WAHM is the “best of both worlds,” and at face value, it is. You are earning income for your family, maintaining your career trajectory, and pursuing interests outside of the home. All without having to figure out childcare options! People picture you playing with your babies all morning, tucking them in for their naps, and completing eight hours worth of work in a two hour period, before greeting your little ones when they wake and heading to the park. Because it’s all fun and games until someone misses a deadline. Or a child is screaming in the background during a work call. Or your kids are too sick to head to their normal childcare locations. So if you’re a Work At Home Mama- whether you’re a blogger, a freelancer, or if you work remotely- we’re right there with you. It’s not always easy, but when it works- MAN does it work. Over the last couple of years, we’ve come up with some VERY creative childcare solutions to get our missions accomplished, even with five kids five and under in tow. If you can afford it, this solution is the simplest, cleanest, and easiest all around. Your child will have a stable place to go on set days and times. You will have long periods of time to field phone calls and get solid stretches of work accomplished. This will bring stability and routine to your days, and will likely be worth every penny. If you’re not comfortable starting your child full time, there are many locations that offer part time childcare, or drop-in options. But we would never recommend that you spend money you don’t have, so if the money’s not there for this yet, don’t despair. There are creative work arounds to the problem, and before you know it, you may be making enough to enroll your kiddos part time. If you DON’T have the budget for preschool or daycare, you’re going to have to get creative. For example, our YMCA memberships come with two hours of high-quality drop in childcare for each child each day. So if we’re on a tight deadline, we can drop in, set up shop in the lobby, and knock out a solid two hours of work before picking up our kiddos. 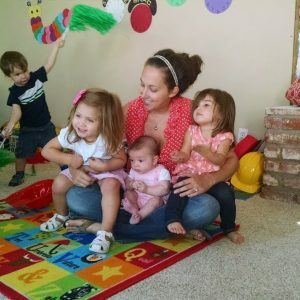 Our friend Ashley from avodkakindofmom.com has FOUR hours of part time childcare included in her membership. Ask around and find a gym that will allow you to squeeze in some work (and maybe the occasional workout) during the day. 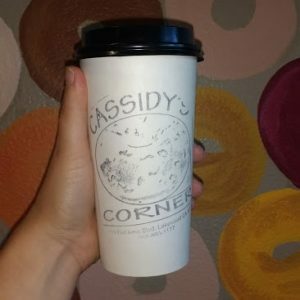 There is a fabulous little coffee shop in Long Beach called Cassidy’s Corner. There is hot coffee, free WiFi, and-most importantly- a play area for kids. There’s a little TV, shelves of books, and baskets of toys where your little one can play while you work. There are likely to be interruptions, but the change of scenery may be good for both of you, and you might be able to get more accomplished than you would at home. A quick Google search should show you where you can find a kid-friendly coffee shop, or ask your local moms’ network if they can point you in the right direction. As an added benefit, these make for great in-person meeting locations. Let the person you are meeting know that you will have a little tag-along, and then decide on a date and time that works for both of you. 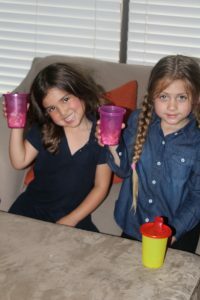 You’ll get that coffee-shop meeting vibe, but in a setting that is MUCH friendlier for your kids to join in on. Many big cities (and even some smaller ones) are starting to offer more flexible child care options. For a short time, Long Beach housed an amazing little play space called GIGIL, where parents could take their kids for supervised play and then head to a parents’ lounge boasting free coffee and lightning-fast internet (the DREAM, am I right?? The picture below is from their drop-off art class). There is also a center that allows drop-in child care on a first come, first serve basis. Look around your area and make a list of what is available ahead of time so that you can scout out locations and find centers where you and your child feel comfortable. When you’re in a pinch, give your pre-approved locations a call and see if they’ve got space for your cuties while you work. We HIGHLY recommend this for our mamas on a budget. If you are lucky enough to have a close friend in a similar position, make arrangements to switch off childcare responsibilities. Christine and I take turns watching each other’s toddler each Friday, so we each get two kid free mornings a month to get things done (or get a pedicure, if we’re being totally honest). In other years, we’ve done swaps with friends that are weekly- think “I’ll take yours Mondays if you’ll take mine on Wednesdays.” It’s a great way to help your child gain valuable social skills, and get you some much-needed time. If you don’t have a friend who is in a position to help you out, consider scouting out a like-minded mama online. Our area has a childcare Facebook group where mamas will post their childcare needs. Some are looking for nanny shares, some are looking for occasional sitters, and others are looking for someone to swap care with. Clearly, you’re going to need to be a little more vigilant if you don’t know the person already, but the point is that there are TONS of childcare options out there if you are willing to think outside the box. When our big kids were little, we had a Co-Op Preschool Program. 8 of our closest friends and their toddlers would meet up twice a week and sing, learn, and play together. Once we got the hang of things, we started to make drop-offs optional, and then gradually shifted to set days off for each mama. So on Tuesdays, Jaymi would stay with three other mamas to lead the class, while the other four went about their days. On Thursdays, it was her day off and other moms were on duty. The kids LOVED it, and learned SO much. And frankly? It was really nice to have some time to get some work done without little ones tugging at our leggings. If you don’t have a crew in place (or if the other kids are all heading to preschool), check with your local Parks and Recreation department, libraries, and community centers. 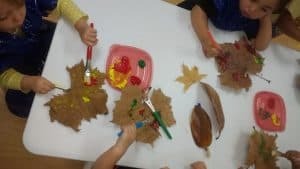 Many areas have parent participation or Co-Op preschool programs already in place that you can just join in for a small fee and some volunteer hours. This one is a little unconventional, but have you taken a look at the IKEA kids’ play areas lately? They are AMAZING! And your potty-trained kids are allowed to hang out in there WITHOUT YOU. IKEA stores also have free WiFi as well as restaurant spaces, so you can grab a drink or snack while you work furiously on your computer. With any luck, your kid won’t even realize you’ll be working, and your kids might think of you as the cool mom who takes her kids places. If finding childcare solutions- even super creative ones!- isn’t cutting it, you may need to start cutting into your (already limited, we know!) sleep time. I find that I am most productive at the beginning of the day. I am a huge fan and occasional follower of the Miracle Morning, and when I am on, I am on FIRE. I pour myself a cup of coffee, hurry through the routine, and spend the time I have left before the kids wake up working furiously. The day will go smoother, and you are likely to have more patience, if you don’t have a huge work load hanging over your head all day long. If you JUST CAN’T with the mornings, of course this can happen in the evening as well. Just make sure that you take time out of the day to plan your goals for the evening and prioritize what you’ll work on. You never quite know where the day will lead, and you don’t want to leave really important items for the end of the day. We’re going to say it- bribe the kids if you have to. Your career, and the income it brings in, are important. It is okay for you to need to prioritize your work sometimes. There is nothing wrong with finding whatever means necessary to keep your kids on board. Give in to a little extra TV time, or tell them that they can have a special snack while you make an important call. I always prep my kids ahead of time for these “Special Treats,” and get them excited about it. When the time comes for them to settle in with a movie and marshmallow-sprinkled-popcorn, they are usually only too happy to comply. If you’re not down for treats, consider “paying” your kids upfront with your time. Parenting expert Patty McCready suggests that giving your kids as little of ten minutes of focused, undivided attention three times a day is enough to build strong, positive relationships with your children. (Have you checked out her Positive Parenting system yet? Our friends are raving fans, and we love everything we’ve heard about it!) When you know you’ll need a larger chunk of time to get some work done, let your kids know that they’ll get ten minutes (or 15, or 20. Whatever you can manage!) and that at the end of that period, mommy will head into her office to get some work done. Set a timer, and then help transition them into another, more independent activity. If needed, you can set another timer for yourself, and return to play with your kiddos again when it goes off. You’ll get more done (and probably feel a lot less guilty!) if you know that you’re covering all of your bases in predetermined intervals. 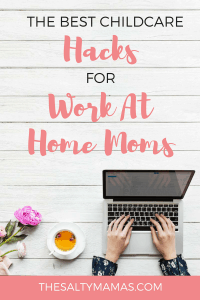 You’ll get more done- and honestly, they’ll probably have more fun!- by implementing these work at home mom hacks for childcare. 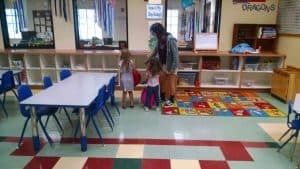 You might have to get creative, but there are TONS of ways that you can come a little closer to “having it all” by arranging creative childcare solutions for your kids. And if someone ever tells you that you have “the best of both worlds” again, you have our permission to laugh in their face. It’s what The Salty Mamas would do, anyways. haha! These tips are fantastic! I can not get a thing done with my god daughter around and when she leaves, I just face plant onto the kitchen floor until my energy returns!